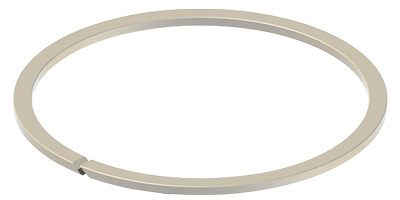 Back-up rings are plastic or rubber rings used to prevent the O-ring from entering the clearance gap. When high pressures are exerted on the O-ring, its soft rubber material can be forced into the clearance gap causing the O-ring to extrude (see our O-ring brochure for examples of O-ring failure). The hard Back-up ring material will keep the O-ring material from flowing into the gap which will prevent premature failure. Plastic Back-up rings come in cut styles 27595, 28774, 28782, which follow the respective MIL specifications. * Back-up rings can generally be selected based on O-Ring dash numbers. See the O-Ring section of our website for dash number dimensions.